Marketing Communications Officer needed for a Leading Dimension Stones Company. · Content creation on virtual-Reality photo-shots. · 3D and other 360-degree interactive program. · Application Closing Date 19th June, 2018. The Administrative team of any endeavour is the heart of all operations; their input is invaluable as well. Do you think you can add value as an ADMINISTRATIVE STAFF to the success of a company, looking for an entry position, done with your NYSC and live in Abuja, or know someone who is interested? · Experience: 5- 7 years If you are a top performing relationship manager within the financial and capital market sector, with a track record of constantly hitting and exceeding your targets. 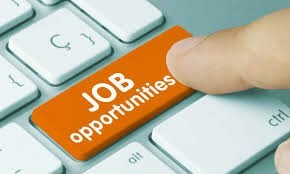 Send your CV today to invest@oscartemple.com using the job title as the subject of the mail. Note: As a salesperson, your CV is expected to tell a story that can only be expressed in monetary values and percentage. · Candidates should have from 3-5 years work experience. · Minimum qualification is WAEC,GCE,OND. · Application Closing Date 14th June, 2018. Send all applications to: careers@globalleadhale.com.ng All CV must come with an application letter, All in PDF/DOC format. A Business Development/Sales Manager is needed at a growing Digital Marketing Agency in Lagos. 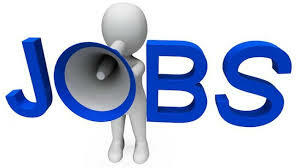 3-5years Business Development & Corporate Sales experience preferably in an advertising Agency. Interested? · A reputable Financial Institution located in Lagos State, is currently in need of suitably qualified candidates to fill the position above. · The Manager, Credit Control & Risk Management is responsible for providing supervisory function on all activities of the Credit & Risk Management department. · He/she ensures effective & efficient control of the organization’s debt & risk management processes. Send CV to gwbs@yahoo.com if interested. § 5-7 years relevant experience from Agric input (Fertilizers, Seeds, Agrochemicals), best crop production technologies, etc. Interested and qualified candidates should send their CV’s to: jobs@greenspace.farm Application Deadline 12th June, 2018. BSc./HND in finance related field. ICAN will be an added advantage. Fresh Engineering Graduate who has completed @nysc_ng& willing to take a temporary job in an Oil & Gas Servicing firm. Not more than 35 yrs. · Minimum of 6 years previous work experience in the Human Resources field. Bachelor’s degree preferably in Social Sciences. Applicants should send their Applications and CV's to: cv@Aquarianconsult.com using the job title as subject of the email. 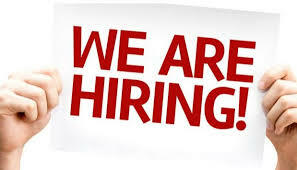 § Experienced Female Business Development Executive (Age: 20 – 35 years) for procurement and engineering services. § Applicants must have extensive and vast contacts with major IOC’s, these includes but not limited to SPDC, Chevron, Mobil, Total E & P, Agip, Seplat etc. § Applicant must show track record of past performance. § Applicants are required to have good knowledge of procurement and Oil and Gas working processes. § Salary:Minimum N150,000 depending on experience. Interested and qualified candidates should send their Resumes alongside with a recent Passport Photograph to: vacancies@abnl.net. Application Deadline 30th June, 2018. § 5 Years valuable experience. § Graphic design skills, layout skills, creative services, customer focus, creativity, flexibility, attention to detail, deadline-oriented, desktop publishing tools, acute vision, handles rejection. Interested and qualified candidates should send their CV’s to: eokafor@hubmart.com Application Deadline 20th June, 2018. § 2-3 years post NYSC work experience as Business Intelligence Officer. § O’Level with at least 1 year experience as Child Carer. § Work closely with the Sales team to develop new business proposals. § Work closely with the client service, operations, editorial and implementation teams to demonstrate MP expertise at new business pitches. § Contribute to the learning environment by identifying areas where there is potential for learning and building knowledge with others. § Adopt the performance management scheme by setting objectives, participating in performance reviews and building a personal development plan. § Respond to incoming Requests for Information (RFIs), Requests for Proposals (RFPs) in a professional and creative manner. § Understand a prospect’s business needs and work with the expert teams to develop a tailored digital marketing proposal. § Work closely with colleagues in Montaigne Place to identify common new business prospects and cross-sell integrated search and affiliate proposition. § Work closely with marketing team to identify appropriate go to market messaging for specific business sectors. § Knowledge Sharing, learning & development. § Enhance own development by taking responsibility for staying informed and up to date with industry knowledge. Interested and qualified candidates should forward their CV’s to: hrexecutive@montaigneplace.comusing role as subject of email. Deadline 20th June, 2018.